Attorney Haushalter is a lead attorney at Okabe & Haushalter. He graduated with his Bachelor of Arts in criminology and law studies from Marquette University in Wisconsin before attending University of the Pacific, McGeorge School of Law in Sacramento, California. He graduated with honors in oral advocacy and went on to begin his legal career as a prosecutor of both misdemeanor and felony offenses. As a former prosecutor, he has the ability to defend clients with insight into both sides of the law. This gives him an edge against your opponent in a criminal defense case. Mr. Haushalter began his career in the Cook County State’s Attorney’s Office at 26th and California. He has successfully tried a wide variety of criminal cases to verdict. He also coauthors the California Loose-Leaf Search and Seizure Handbook as an advocate for Fourth Amendment law. 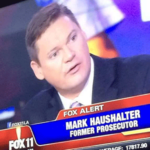 Attorney Haushalter is also a member of various legal associations, including the National Association of Criminal Defense Lawyers, South Bay Bar Association, Los Angeles County Bar Association, California Public Defenders Association, and the Indigent Criminal Defense Panel. 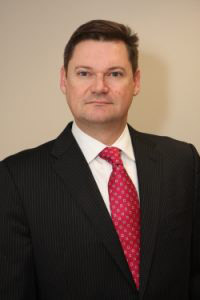 He is licensed to practice law in state and federal courts in both California and Illinois. If you are facing criminal charges, do not wait to hire the skilled defense that you need. Only a Chicago criminal defense attorney like Mark Haushalter will have what it takes to fight your case and defend you from a wrongful conviction. Contact the firm right away to speak directly with a member of the team through an initial consultation. We look forward to hearing from you soon!